Presentations have a disproportionate amount of impact on our careers. Great ones can glean more positive attention than you can imagine. However, so often we talk ourselves out of being our best as presenters. This piece talks about some great ways to get your mind and body on your side instead of working against you. Change Masters has individually coached thousands of global executives to significantly improve their leadership communication skills since it was established in 1986. 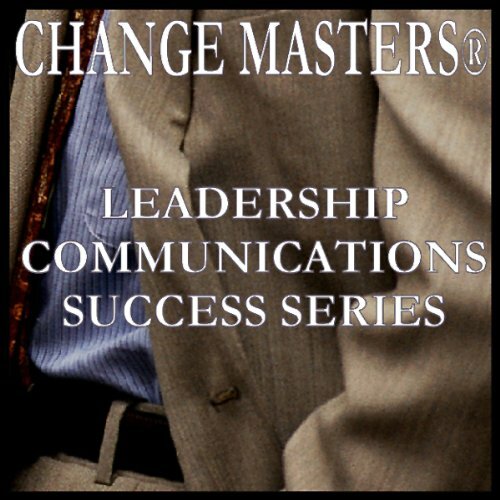 The Change Masters Leadership Success Series gives you usable information, containing pragmatic tools that have been road-tested by top leaders. Many times people consider a seminar successful if there is one usable nugget or idea. This series captures the most valuable nuggets we've gleaned to give you high value and save you time.